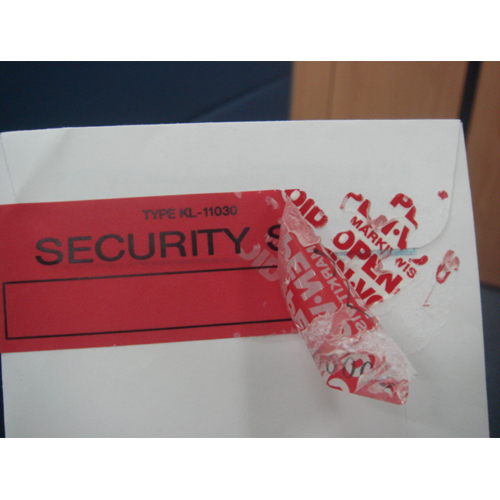 We offer wide range of high quality Void Labels which are considered as the most exclusive tamper evident labels coming with unique tamper evident security. As these labels are removed, it leaves multiple images of words VOID, DOTS, CHECK BOX OR CUSTOM Name as per the requirement of our valuable clients. 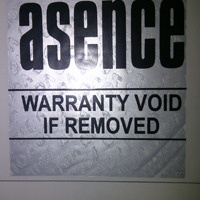 The Non Transfer Void Labels are suitable for sealing the parcel and carton containing valuables. These labels ensure the authenticity of the packed goods and make the products free from counterfeiting. High quality materials and cutting-edge techniques are being used in designing these void labels to make them tamper proof. Each void labels has a hidden word or alterable sequential numbering, which cannot be seen without opening. Once opened, the tape cannot be resealed. The special features of these labels is that its shows void on the label when tampered with but there is no residue on the products. Hence the product is not damged.It is useful for products like electronic goods, mobile cameras, electrical products and many other applications. 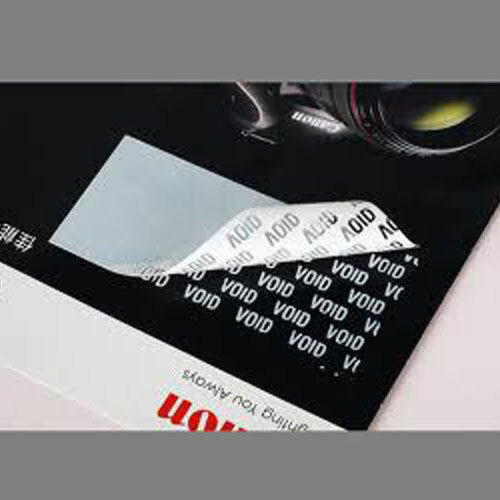 The Silver Void Labels are supremely utilized for preventing any counterfeiting and tampering. 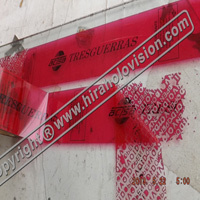 High quality resin ribbon is being used for printing on the void labels. These labels offer excellent prevention against unauthorized access, altering, removal to provide excellent security to the products. The labels are used for product authentication and anti-theft applications. On customized basis, the void labels are also provided by us in different colors, sizes, designs, shapes and patterns. The Void Holograms are used for avoiding counterfeiting and brand duplication. These holograms are patterned from optimum grade materials and advanced techniques to excellently provide product and brand authentication. These holograms have unique serial number or image on the void surface, which gets imprinted on the surface even after peeling off. The holograms with VOID text provides excellent prevention from photocopying and scanning. 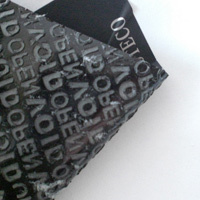 The Void Stickers provide excellent prevention against counterfeit, theft and duplicity. These stickers ensure excellent authentication to products and brands employing cutting-edge techniques. The stickers have hidden text and images on the adhesive surface, which leaves an impression on the pasted product in case of tampering to avoid duplicity and theft. These stickers are designed by us according to the customized demands of our clients in distinguished colors, sizes, designs, patterns and dimensions. With a hidden message on adhering surface, the Tamper Evident Void Tapes find extensive use in brand and product protection and authentication of applications. These void tapes are patterned prudently by making use of finest grade materials, adhesives along with the employment of sophisticated techniques. 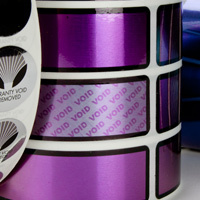 Our offered void tapes carrying unique identity provide superior protection against theft and counterfeit. In case of tampering, the void tapes leave behind an imitation to avoid any duplicity and counterfeit.